I'm a researcher, engineer, and designer working with social technologies. Since 2014, I've been a member of Twitch's Science team. I received a Ph.D. from the MIT Media Lab in 2012. I completed my dissertation work in the Speech + Mobility group with Chris Schmandt at the MIT Media Lab. I worked in the Sociable Media Group with Judith Donath from 2006-2008. You can reach me at dharry@media.mit.edu. You can find me on twitter, github, linkedin and speakerdeck. Justin Megahan. 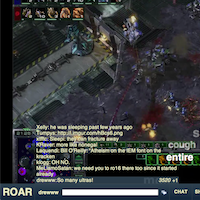 Scaling without losing focus ... how Twitch gets it right." September 2015, Mixpanel's Grow + Tell Series. Drew Harry. 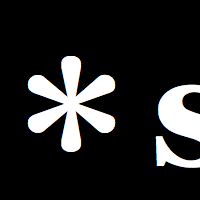 What PhDs do wrong and right when applying for data science jobs. July 2015, Medium. Drew Harry. Past and Future Game Spectating. April 2014, Invited talk at Are We Game? Video Games Beyond Entertainment. 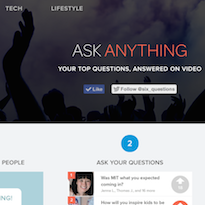 "The MIT-Made Platform Providing an Accessible Alternative to the Reddit AMA" Lauren Landry, BostInno, Feb 2, 2014. Drew Harry. 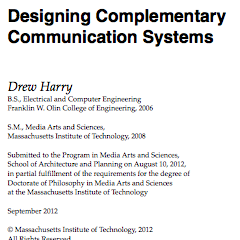 "Designing Complementary Communication Systems." (PhD Thesis, Massachusetts Institute of Technology, 2012). Drew Harry, Eric Gordon, Chris Schmandt. 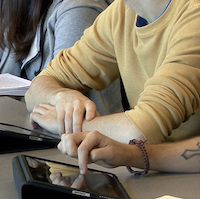 "Setting the Stage for Interaction: A Tablet Application to Augment Group Discussion in a Seminar Class" In Computer Supported Cooperative Work, 2012. Drew Harry. Designing Grounded Interfaces, invited talk at BostonCHI. Drew Harry. Information Spaces. Part of Experimental Graphical Chat Spaces in Connections, an MIT Museum Exhibit. Showing until September 2009. Drew Harry. 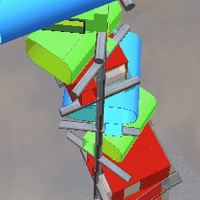 "Algorithmic Architecture & Why People Build Houses in Second Life" Social Computing Symposium. October 2008, Redmond, WA. Drew Harry. "Algorithmic Architecture in Virtual Worlds." (MS Thesis, Massachusetts Institute of Technology, 2008). Drew Harry, Dietmar Offenhuber, Orkan Telhan, Judith Donath. Stiff People's League. In Homo Ludens Ludens. LABoral Centro de Arte y Creacion Industrial, Gijon, Spain. April-September 2008. Drew Harry, Judith Donath. 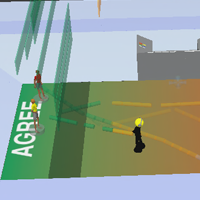 "Information Spaces - Building Meeting Rooms in Virtual Environments" (Works in Progress) In Proceedings of the SIGCHI conference on Human Factors in Computing Systems (CHI 2008) (Florence, Italy). Drew Harry, Dan Gutierrez, Joshua Green, Judith Donath. 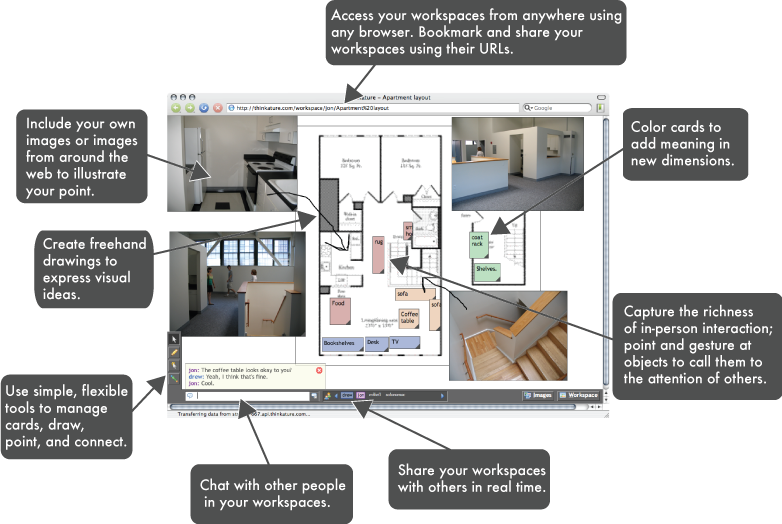 "backchan.nl - Integrating Backchannels With Physical Space." (Works in Progress) In Proceedings of the SIGCHI conference on Human Factors in Computing Systems (CHI 2008) (Florence, Italy). Drew Harry, Dietmar Offenhuber, Judith Donath. Function Follows Form - The Social Roles of Virtual Architecture in Architecture's Second Life, S. Doesinger, Editor. 2007, Prestel. The Stiff People's League debuted at the Ars Electronica Festival as part of an invited exhibition about Second Life. More info. 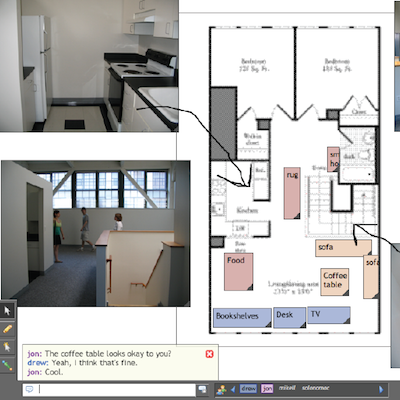 "The Projects - towards a sociable architecture for virtual worlds." Drew Harry, Dietmar Offenhuber. Design of User Experience, 2007. "Unreal Meetings", Erica Naone. Technology Review, 11 July 2007. A time to glance: Studying the use of mobile ambient information. Frank Bentley, Joe Tullio, Crysta Metcalf, Drew Harry, Noel Massey. Pervasive 2007 Workshop on the Design and Evaluation of Ambient Information Systems. May, 2007. Six Questions explores a variety of product and business model variants around social question and answer formats: a Q&A site for learning about careers video, a consumer-oriented Q&A site with notable people, and a platform for fostering honest and open communication between executives and employees. Cofounded with Frances Yun. I'm a passionate fan of esports in general, and Dota 2 in particular. 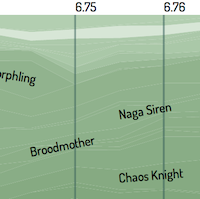 I've done interactive visualizations of professional drafting trends and hero match phase effectiveness. Don't despair if those phrases make no sense! Each visualiation comes with a general-public description. I also run @dota2results, an open-source bot that tweets professional match results. 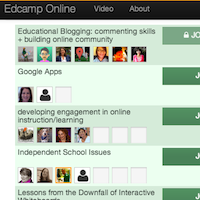 Unhangout is an open source platform for running large scale online un-conferences. I was the founding technical lead, and helped guide the design for the first six months of the project. In collaboration with the MIT Media Lab, with funding from the Macarthur Foundation. 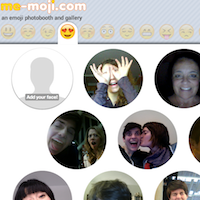 As emoji became part of our daily communications, we found ourselves mimicking our favorite emoji face to face. This was, perhaps, a way for us to calibrate and amplify the emotive content in each face against our shared interpretations of them. And it was fun! In collaboration with Lian Chang. ROAR is designed to allow very large groups of distributed spectators have meaningful conversations with strangers or friends while creating a sense of presence of thousands of other spectators. A conceptual design project. Check out a hackathon talk about the concept, plus an esports oriented version. A variant of the core Tin Can system designed to work in a seminar context where every student had their own iPad. Students could use the system both for taking personal notes as well as suggesting discussion ideas in a public pool of ideas. We conducted an in-class deployment and qualitative study. In collaboration with Eric Gordon. 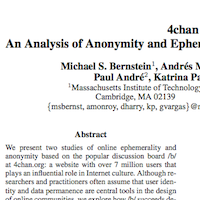 Full paper at CSCW 2012. 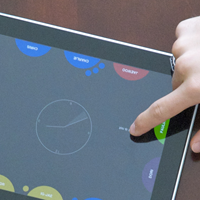 Tin Can connects remote meeting participants and visualizes meeting processes on an iPad. The system collects and visualizes background tasks like taking notes, managing the agenda, sharing relevant content, tracking todos, and managing meeting process in a distributed interface. 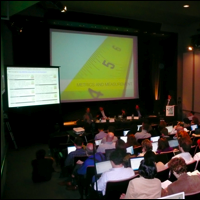 A web-based system for facilitating question asking and answering in conference situations. Read more in our CHI paper. (slides) Trusted by over 1,000 conferences, generating over 30,000 questions and nearly 100,000 votes. In collaboration with Joshua Green, Cherrie Yang, and Trevor Filter. 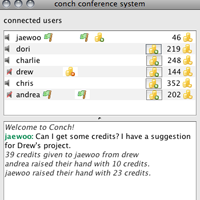 Imagine a conference call system where each person has a limited quota of talking time, and could gift that time to other people on the call who they wanted to hear more from. A provocative conceptual experience, this project guided my thinking about equality of participation in collaborative tools. 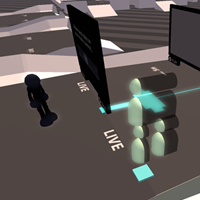 A virtual world application that uses physical embedded sensor nodes with cameras and displays as portals between the real and virtual world. In collaboration with the Responsive Environments Group here at the Lab. I've finished my thesis! Check it out here (24 Mb). It includes an extended discussion of *space as well as Information Spaces. My thesis also includes a broad theoretical discussion about the differences between virtual and physical spaces. 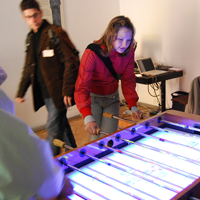 A mixed reality table soccer game in which teams of virtual and real players compete. Debuted at Ars Electronica 2007. Read an overview here or view photos here. Also appeared in Homo Ludens Ludens in Gijon, Spain. With Dietmar Offenhuber and Orkan Telhan. Check it out on YouTube. 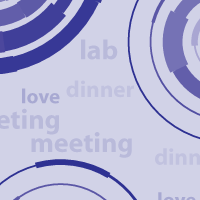 In this three dimensional social space, we use the design of the meeting space itself to give participants a vocabulary for responding to the meeting as well as a technique for visualizing the history of the meeting itself. Read more in our CHI paper. I created an avatar that slowly grows out to connect with other avatars around it. 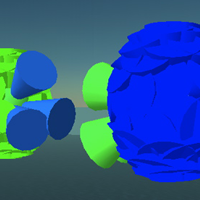 Over time, these avatars' colors shift and change to become more like the colors of people near them, visualizing their relationships. We propose an extensible cellular building structure that provides people with a space to work, play, and socialize. We also describe a set of "social utilities" to support effective navigation, self expression, and visualization in a virtual building, analagous to a social network. 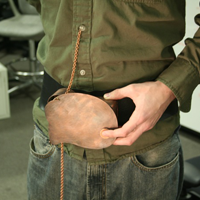 The Tug and Talk device sits on your belt and connects to your shirt. Another Tug and Talk user can tug on the chain coming out of their matching belt and their tugging pattern is replicated as a tug on your own shirt. Presented at alt.chi 2007. With Matt Adcock, Matt Boch, Vanessa Harden, and Retro Poblano. "Sousreality" is a pair of connected spaces linked through the metaphor of a crystal ball. 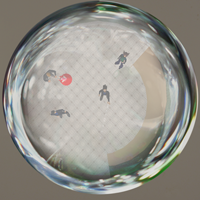 In the SIGGRAPH gallery is a crystal ball that peers into Second Life, and in Second Life there is a crystal sphere containing a real-time inside-out vision of the gallery. With Dietmar Offenhuber and Orkan Telhan. Chatterprint is a concept for a sharable visualization that describes the history of a single person's online life through a variety of media including like instant messaging, online forums and social networking sites. I co-founded Thinkature, a Y Combinator-backed real-time collaboration tool to help people think effectively in groups. We made it possible to have the sorts of free-flowing conversations you would have around a white board take place online. Check out the TechCrunch story, an interview with more info, or a video from an early user. 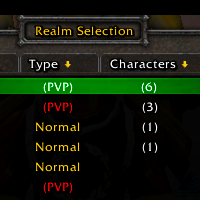 An ethnography of World of Warcraft players, studying how relationships move between the real and virtual worlds. This work refutes the common misconception that virtual worlds are meritocratic spaces. My humanities thesis while at Olin College. A visualization technique for illustrating changes of tree data structures over time, for instance the organizational chart of a company. Unpublished InfoVis-style paper available here. With Martin Wattenberg while at IBM Research in Cambridge. 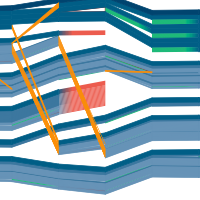 A visualization technique for reducing the complexity of graph visualizations. Uses a fast heuristic to identify complete subgraphs and represents those subgraphs as visually distinct nodes. 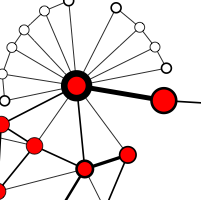 This system also describes a method for "eroding" nodes at the periphery of the graph to simplify the final representation. With Dan Lindquist while at Olin College.